ROME, Italy, October 3, 2013/African Press Organization (APO)/ -- The outlook for global cereal supply in the 2013/14 marketing season remains generally favourable despite downward adjustments to forecasts for world cereal production and closing stocks, according to the latest issue of FAO's quarterly Crop Prospects and Food Situation report. Despite this downward adjustment, world cereal production would still surpass the 2012 level by nearly 8 percent. Meanwhile, the FAO Food Price Index dropped for the fifth month in a row in September, driven by a sharp fall in the international prices of cereals. The prices of dairy, oils, meat and sugar rose slightly. The Index, which measures the monthly change in the international prices of a basket of 55 food commodities, averaged 199.1 points last month, 2.3 points or 1 percent below its August value. It is down 11 points or 5.4 percent since the beginning of the year. However, it is still higher than in the same period in 2009 or 2010. 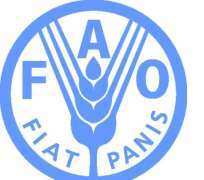 FAO will hold a second Ministerial Meeting on International Food Prices on Monday 7 October at its Rome headquarters to provide a forum to discuss food price volatility and the policy challenges it poses. More than 40 government ministers are expected. At 2 489 million tonnes, FAO's current forecast for world cereal production in 2013 is marginally lower (by 3 million tonnes) than reported in September, mainly reflecting poorer prospects for the South America wheat crop, following adverse weather. The expected 8 percent increase in world cereal production this year over 2012 is mainly the result of an 11 percent anticipated expansion in coarse grains output to about 1 288 million tonnes. The United States, the world's largest maize producer, would account for the bulk of the increase, as it is expected to harvest a record maize crop of 348 million tonnes, 27 percent higher than the previous year's drought-reduced level. The FAO forecast for world cereal stocks by the close of seasons in 2014 has been revised downward by almost 2 percent since September, to 559 million tonnes, still 12 percent (62 million tonnes) above their opening level and the highest level since 2001/02. International trade in cereals in 2013/14 is forecast to reach 312.4 million tonnes, 1.6 percent (4.8 million tonnes) higher than in 2012/13 and slightly above the level expected in September. Trade in 2013/14 is expected to benefit from larger export availabilities of coarse grains in particular. In Syria, due to conflict about 4 million people are in need of humanitarian assistance. In the Democratic People's Republic of Korea, an estimated 2.8 million vulnerable people require food assistance until the next harvest in October. Despite an improved food supply situation this year in the Sahel, a large number of people are still affected by conflict and the lingering effects of the 2011/12 food crisis, notably in northern Mali. In Central Africa, the food security situation continues to deteriorate in the Central African Republic (CAR) and in the Democratic Republic of the Congo (DRC) due to protracted civil insecurity. Nearly 6.35 million people in DRC (18 percent up on last year) and 1.3 million people in CAR (more than double from February 2013) are in need of humanitarian assistance. In Southern Africa, drought conditions in western parts resulted in a decline in cereal production and in higher prices in 2013, causing a rise in the number of food insecure, particularly in Namibia. In Zimbabwe, maize production in 2013 declined by about 18 percent from last year's below average level. The number of food insecure is projected to rise to 2.2 million people between January and March 2014, significantly above the 1.67 million in the first quarter of 2013. In Somalia, South Sudan and Sudan about 870 000, 1.2 million and 4.3 million people respectively are in need of humanitarian assistance due to conflict, natural disasters and other causes.